Suicide is the 10th leading cause of death in the United States and the second leading cause of death for persons aged 10-24. While these numbers are shocking, because of the stigma associated with suicide, the actual statistics are likely greater but currently suffer from false reporting. Suicide is devastating to any individual, family and community, which is why there needs to be ample resources and understanding of how to prevent these tragedies from taking place. That’s what the team at the Daniel B. Sobel Friendship House is setting out to do, because the isolation element of suicide touches on the core values of our organization. The Friendship House offers support and guidance to individuals and families struggling with isolation and other life crises. Friendship House has recently expanded its offerings to include training in suicide prevention through LivingWorks’ ASIST program (Applied Suicide Intervention Skills Training) through training sessions here at the Friendship House. Friendship Circle and Friendship House are a unique host for this type of training because of the vast network of teenage volunteers that are members of our community, giving us the chance to tap into a pool of resources and build a peer network outside of our walls and field more advocates for assistance in suicide prevention. Started by LivingWorks, ASIST is for everyone 16 or older—regardless of prior experience—who wants to be able to provide suicide first aid. Shown by major studies to significantly reduce suicidality, the ASIST model teaches effective intervention skills while helping to build suicide prevention networks in the community. Rabbi Yarden Blumstein of the Daniel B. Sobel Friendship House is certified in the ASIST program to aid those in need and is working toward becoming a certified trainer to interested parties in learning how to help prevent suicide. 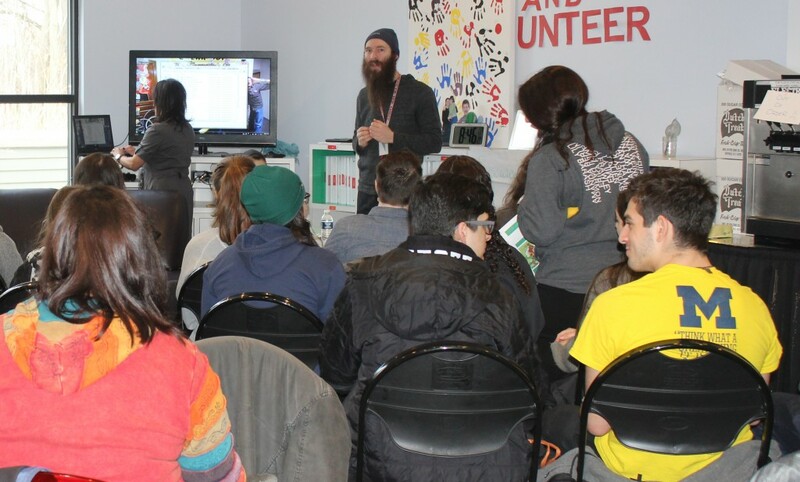 Jewish Family Service (JFS) hosted Rabbi Blumstein’s training in the program, where he discovered that training touched on Friendship House’s core values, so he decided to bring ASIST to Friendship House in order to train others in learning about how to prevent suicide. The key elements of suicide prevention are: How to identify, engage and take to a place of safety. To put the program’s effectiveness in perspective, the first training session hosted by Friendship House in May of 2015 with 17 teenage participants in the program. Since then, the trained teens were able to conduct five preventions in their community and empowered those individuals to seek help in a safe place. In the future, the Daniel B. Sobel Friendship House, with the help of the Schulman Millennium Fund, will be conducting two-day ASIST trainings for teens to teach effective intervention skills while helping to build suicide prevention networks in the community. For more information about the program, contact Rabbi Yarden Blumstein at (248) 788-7878 ext. 208 or at [email protected]. This entry was posted in Programs and tagged ASIST, Friendship House, Jewish Family Service, LivingWorks, suicide prevention, training, Yarden Blumstein on February 8, 2016 by admin.